Speed Medals with die cast wreath design and full color poly dome imprint. In stock for fast 6 working day production. * Extra-low 50 piece minimum order. 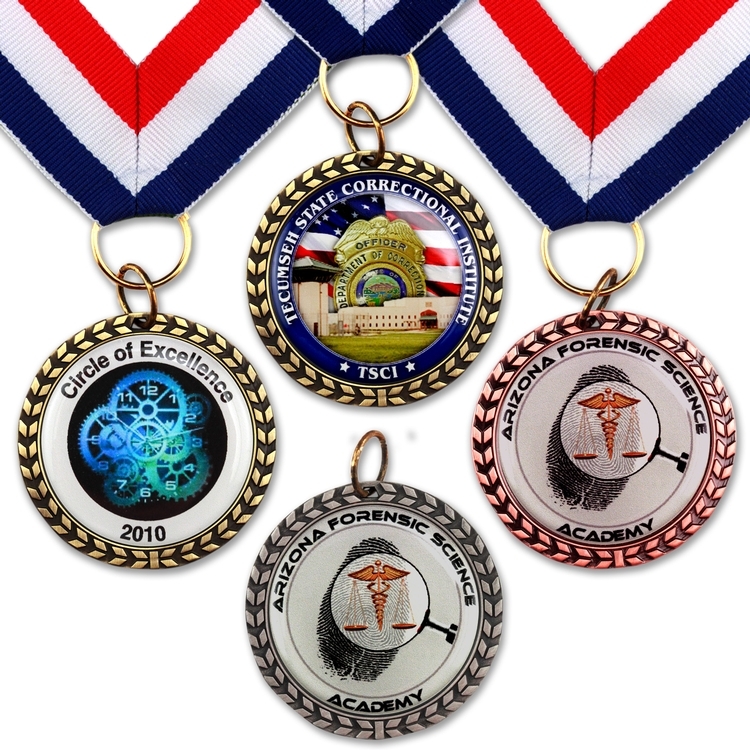 * Double-sided, die cast medal with choice of antique brass, antique copper or antique silver finish. * Includes a custom full color imprint with poly (epoxy) dome on each side. * Full color images can be the same or different on each side of medal. * Medal size: 1-3/4". Imprint area size: 1-7/16". * Optional red/white/blue ribbon attachment.